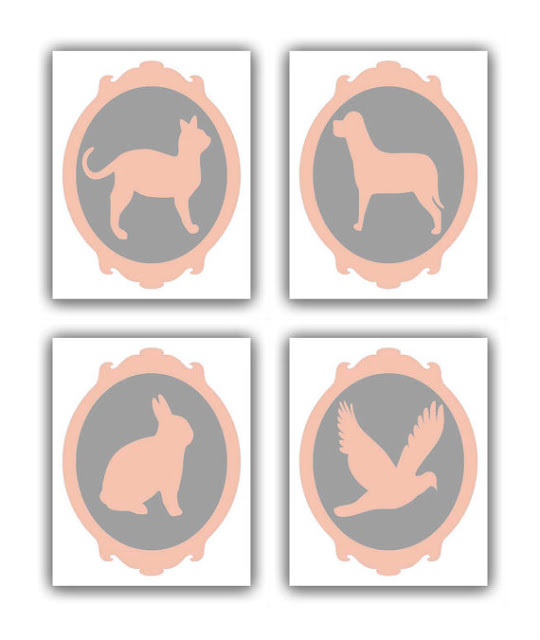 Kids Nursery Prints: Peach and grey nursery, animals nursery art! Peach and grey nursery, animals nursery art! Elegant and playful nursery room for Baby Nursery Decor! Peach and grey is another color combination that we love:)!